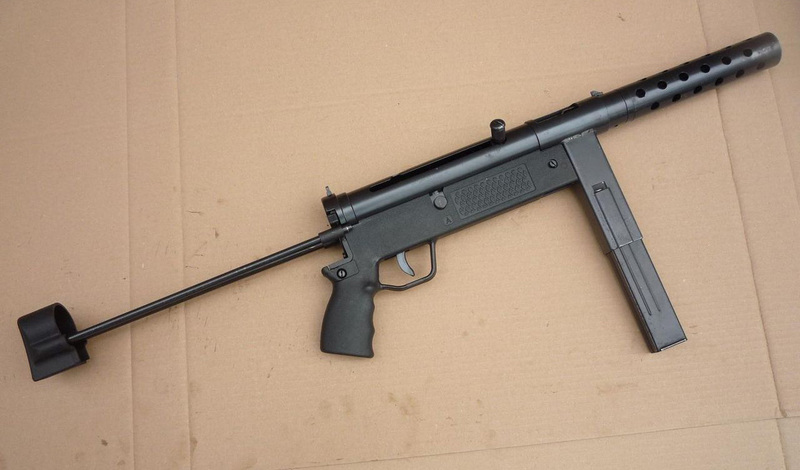 Along with the recently documented ‘R9-Arms’ pistol, another previously-unknown 9mm submachine gun (‘machine pistol’) has been seized in significant numbers from organised crime groups in various European countries, most notably Italy and the United Kingdom. These new weapons are deceptively marked ‘Intratec TEC-9’, which is inscribed to a professional standard. Given that it only bears a cursory resemblance to its namesake, this appears to be a marketing ploy to increase the weapon’s credibility and street value. 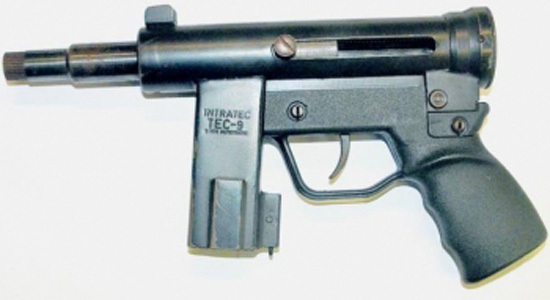 One of the machine pistols seized in Italy, displaying ‘Intratec TEC-9’ markings, April 2010. The weapon appears to integrate several parts from the Croatian made Zagi M-91 submachine gun, itself a ‘modernised’ copy of the British 9mm STEN gun which was produced during the 1991 Croatian War of Independence. This new weapon, however, appears to have been purpose built rather than modified from the M-91, with its cocking handle guide on the left side of the receiver as opposed to the right. It also uses a more compact trigger group, housed in an identical but shortened MP5-style plastic grip. The similarity to the M-91 suggests that individuals with prior experience of its manufacture, or at least access to a surplus of original components, may be involved with production of these new pistols. A Croatian Zagi M-91 submachine gun. The magazine well appears to be the same as that of the M-91, but with a different magazine release catch, positioned much lower. It accepts an UZI type magazine, likely from the Croatian Pleter 91 SMG which uses a near copy. Rather than having a large recoil spring, a smaller diameter spring on a guide rod rides inside the bolt for maximum compactness. There appears to be at least two different sized variations in circulation. 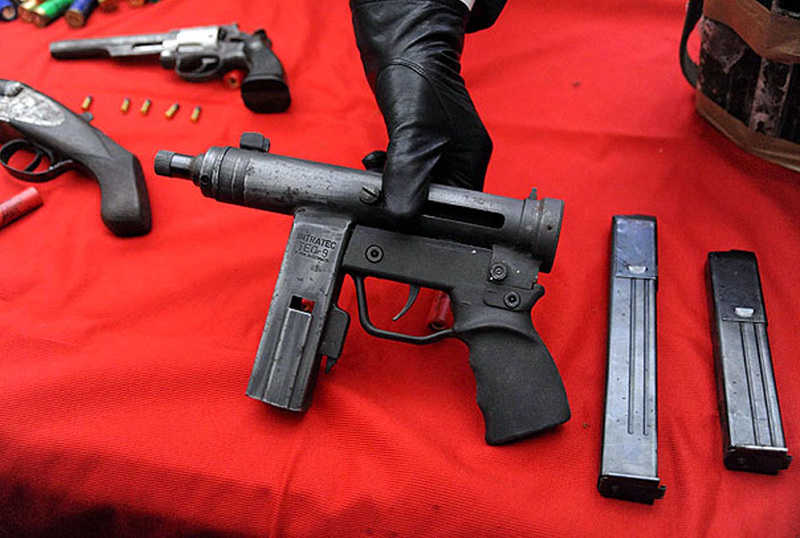 One machine pistol variant with a shorter receiver, reportedly seized from the Dutch Carribean island of Curacao, 2013. 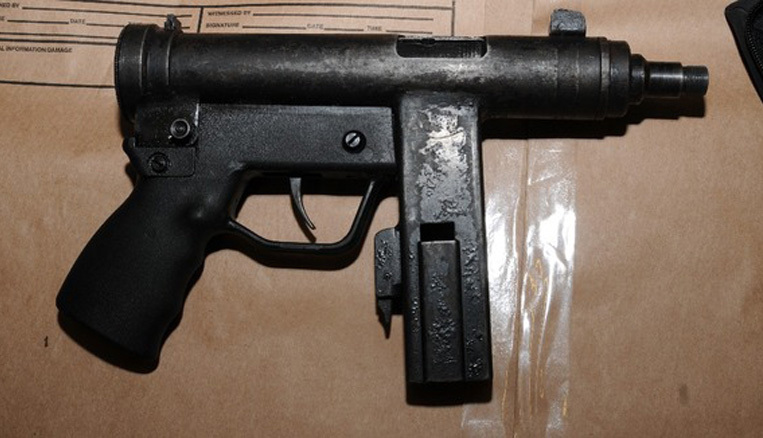 Feature image shows machine pistol seized in Manchester, England in March 2014. They’re making their own. Figured Criminals would start doing it when the Assualt Weapons bans started happening. I have heard of this before,there was also a 9mm machine pistol also found in Europe,,whitch matches the description of this sub machine gun,new gun,fake logos,fake company,fully functional,etc.i hope this helps because I think these two guns are RELATED to this mysterious gunmaker.